Many people who follow the preparedness lifestyle, say that their number one frustration is prepper time management. 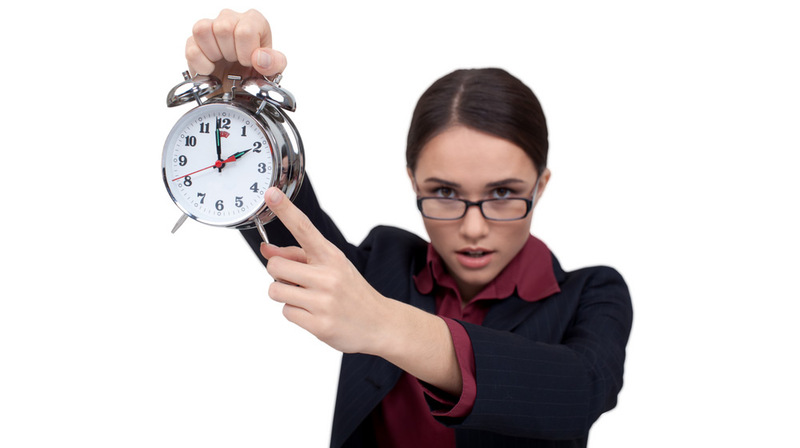 There is no doubt about it; prepper time management can be a big frustration. We all know that prepping takes up a lot of time and isn’t easy. Preparedness takes dedication and effort. After all, being prepared doesn’t just happen overnight. Novice preppers and those who recall our entry into prepping know that just deciding where to begin can be overwhelming. Heck, the amount of information available on the Internet and in other places can be confusing. Where do you go? What site has solid prepping information? Who do I follow on Facebook? What prepping podcast is correct? You can go on and on. Fortunately, there is an easy to follow mindset to help you overcome your frustrations with prepper time management. If you’ve read other blog posts and listened to podcasts here and elsewhere, you already have the answer. The answer is the OODA Loop. What, how can it be the OODA Loop? As I discussed in my Developing Your Mind4Survival blog post, the OODA Loop is used to facilitate our decision-making. In other words, you can better manage the time dedicated to your preparedness efforts by using the OODA Loop. To overcome your frustration with prepper time management, you must first observe your situation. Observing your situation means to see what is going on around you. Look at and take in your daily life. Notice who and what is important to you and your future preparedness. Orienting yourself to your situation is key to successful prepper time management. This means doing your risk analysis on the people and things that you observed in the previous step. In so doing, you’ll identify your most significant vulnerabilities that require addressing. What (who) do I have to protect? By answering those three questions, you will be able to prioritize your prepping better. You will understand what is most important to you. This may be family members or something that is important to your survival. Once you orient yourself as to what (who) is most important to protect, you next need to decide what it will take to address your concerns. To help you decide, you can make a checklist. That checklist will include a ranking of all of your vulnerabilities and risks. Next, you’ll add everything you think it will take to address those risks. As you do, you’ll find many of your vulnerability and risk solutions are applicable across a number of the items on your checklist. Now that you’ve determined what your vulnerabilities are and what it will take to address them, you can take action. Taking action means addressing your most significant risk and vulnerability first. Some of the things you do to address your first risk may help address other threats and so on. Over time, as you work your way down your prioritized list, you’ll find that your early preps will have addressed some of the needs of your later preps. In other words, by addressing your main priorities first, you will simultaneously address others. This process, while simple, is the solution to helping you overcome your frustrations with prepper time management. Whenever you begin to look at new preps or want to decide on what to do next, use this system. Sit back, take a tactical pause and work your way through the OODA Loop process. Doing so in a manner that applies to your overall prepping strategy will help you manage your prepper time. It will also help improve your overall personal situational awareness so that you are better prepared and ready when needed.